What an exciting time to be in, early days for any technology means ideas, efforts, mistakes, learning, trips, friends and lots of things to do. 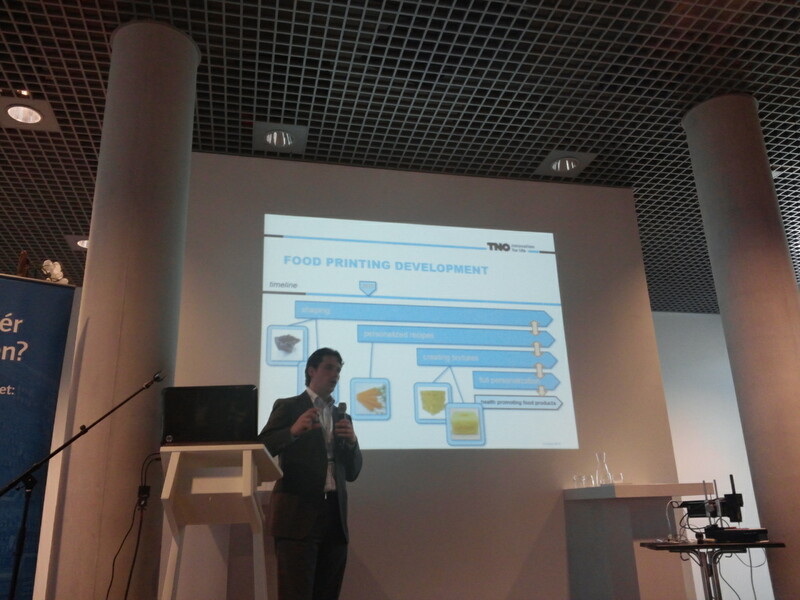 Last April 21st 3DC got the chance to attend to the 3D Food Printing Conference hold in Venlo, The Netherlands. 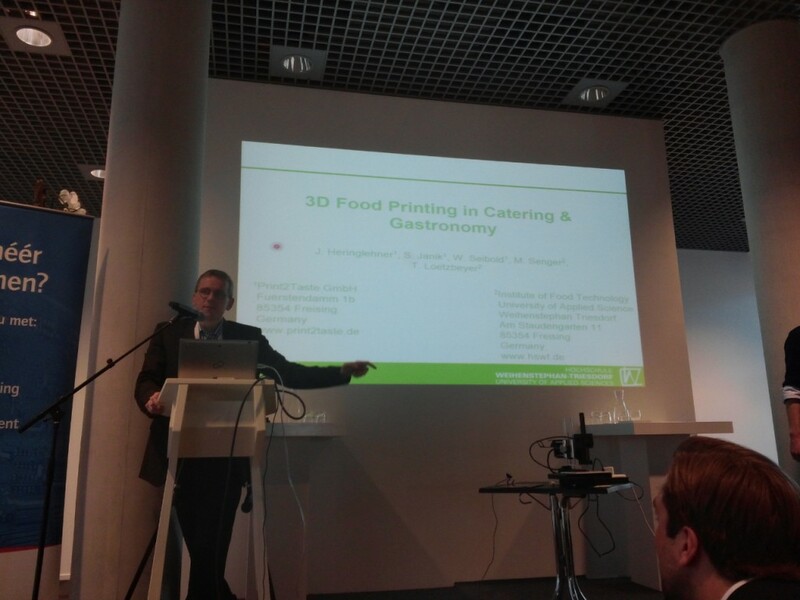 The event was organized around conferences by world class speakers that hold different and interesting points of view about 3D Food Printing (3DFP). 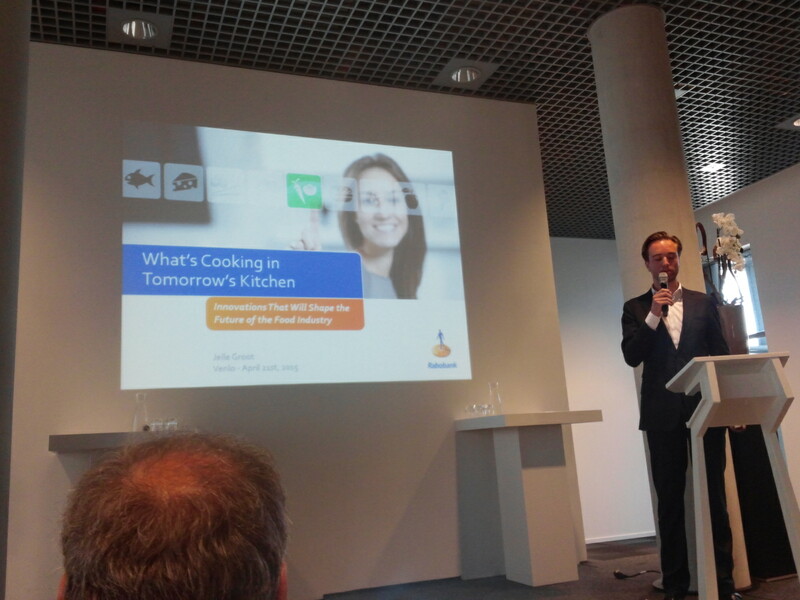 First on stage was Jelle Groot from Food & Agribusiness Research and Advisory, Rabobank International​. He brought his expertise in the food industry as an analyst to identify the opportunities for 3DFP, with a clear vision of early steps for the technology but with great potential. Awesome quote “stimulating the senses through technology”. Second on stage was Professor Mark J. 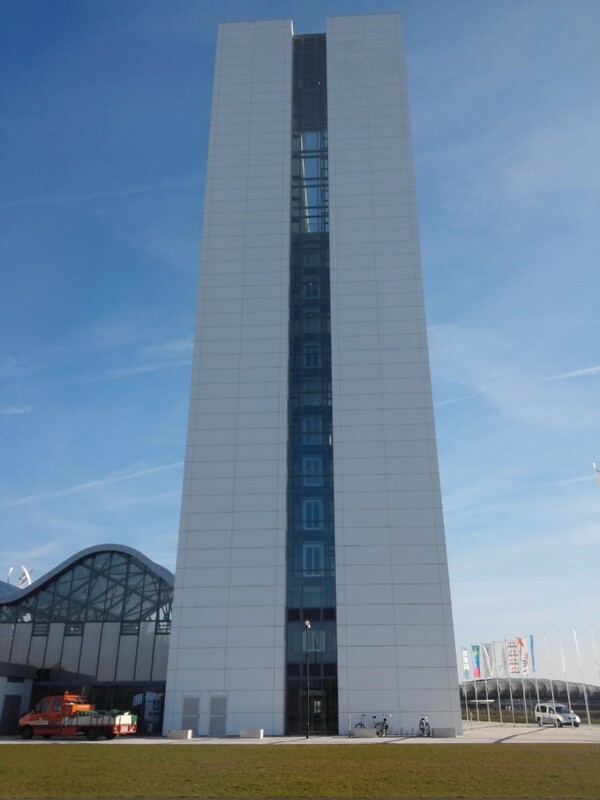 Post, Maastricht University, he presented his work on Medical technology to produce beef. Proving that the world needs a shift on how we produce our food to be able to feed a growing population. He introduced his tissue engineering technology, currently is able to produce meat, which with further development could be 3 times more efficient than the traditional meat manufacturing processes. His explanation about the barriers for bio-meat adoption by consumers point to some really interesting quotes like “the new unknown that feels unsafe” or “ethics will drive the consumer adoption”. Third on stage was Pascal de Grood, CEO, Foodjet. His talk was focus on sharing their experience with a product with 2+D in the industry. 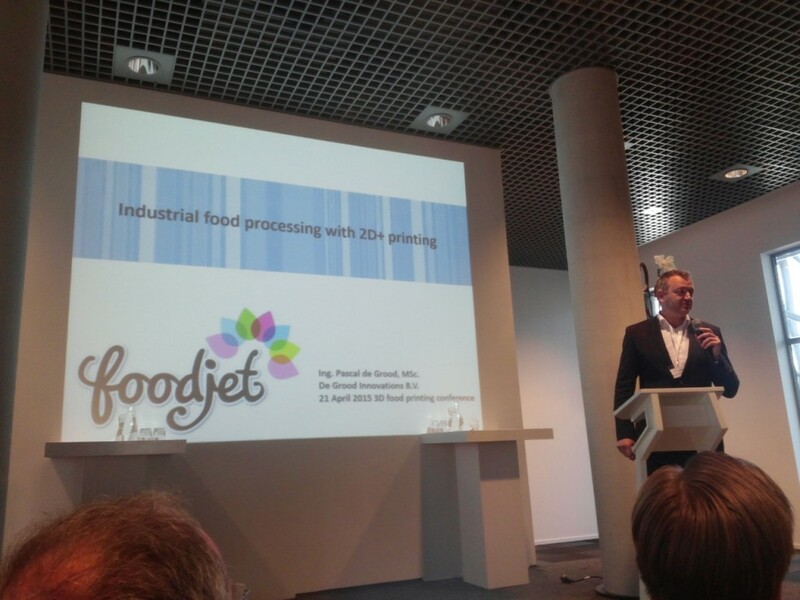 Almost 10 years working with customers to understand their use of foodjet and why 3DFP is accepted by the insdustry: Accuracy, efficiency, hygiene and do the impossible. Fourth on stage was Professor Thomas Lötzbeyer, Applied Science Weihenstephan Triesdorf / Print2Taste. Was introducing his focus on foods developed for 3DFP. Introducing different concept ideas for higher integration for catering services. 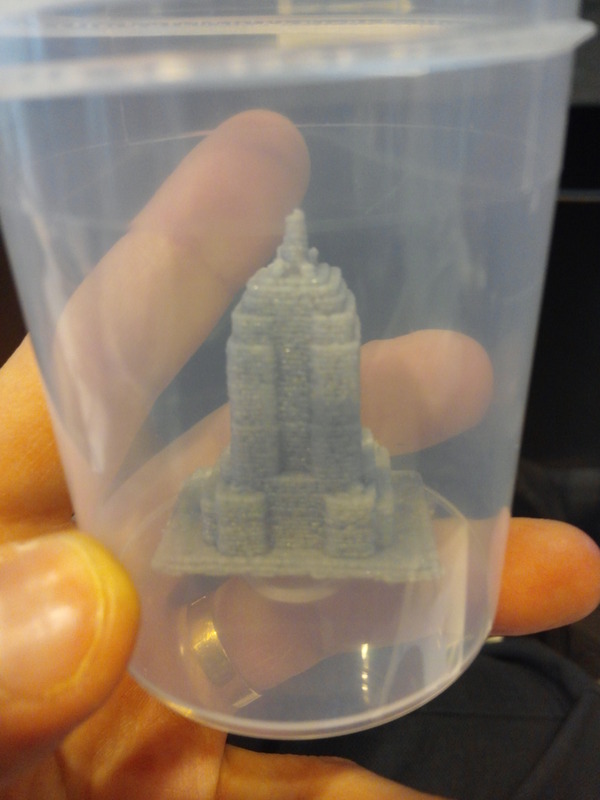 Also Print2Taste introduced and demoed for first time their new printerBocusini, soon available through Kickstarter. Fifth on stage was Pieter Debrauwer, TNO. Through Pieter we learned the implication of one of the biggest research center in the world working on 3DFP. Explaining about the PERFORMANCE european project about personalised food using rapid manufacturing for the nutrition of elderly consumers. Also presented a future development time line for #3DFP. 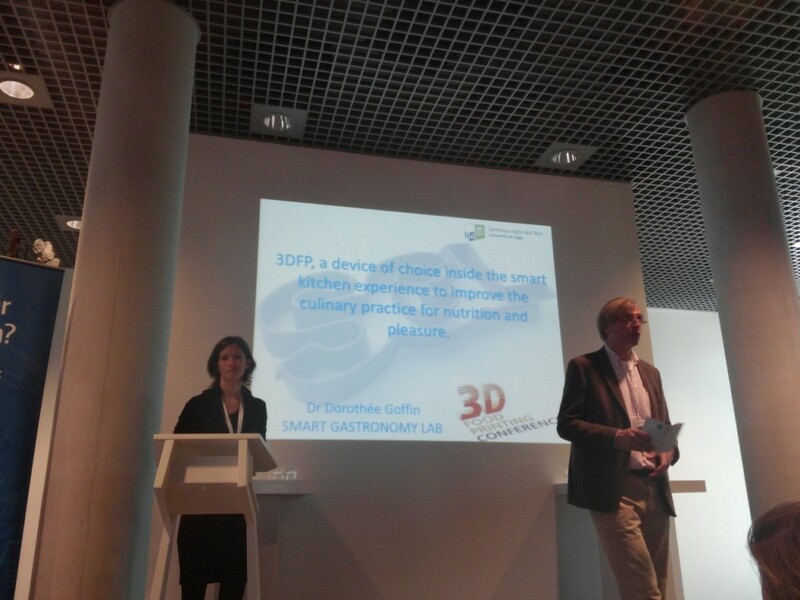 Sixth on stage was Dr. Dorothée Goffin, Directrice Smart Gastronomy Lab, University of Liège. Awesome catchy quotes like “Food is the new El Dorado for technology” or “makers new revolution in the kitchen” got our attention fastly. She presented the work done at the Smart Gastronomy Lab researching on 3DFP and showing some high detailed chocolate 3d prints. 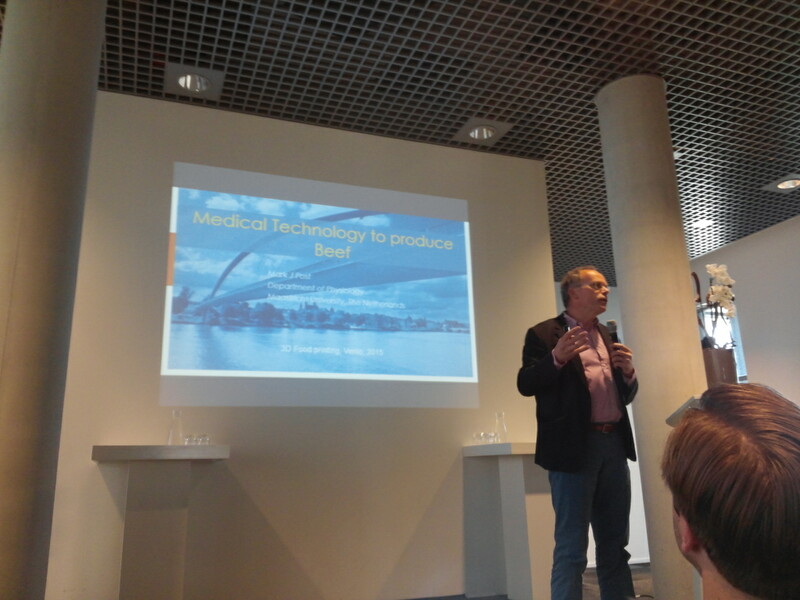 Seventh on stage was Professor Luc de Witte, Technology in Care,Maastricht University / Hogeschool Zuyd. 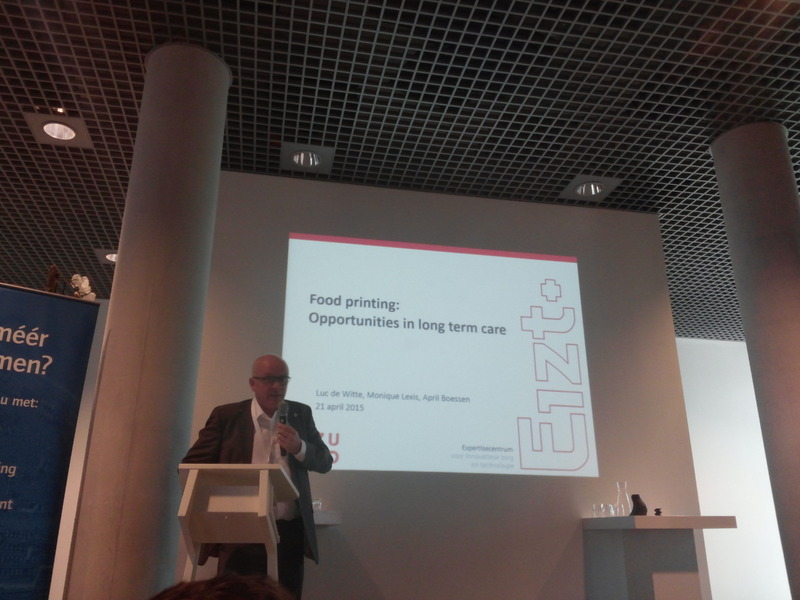 His presentation was titled Food printing: opportunities in long term care?. With a strong focus on finding the right #3DFP technology through working directly with the person in need.